By default, new subscribers are subscribed to notifications for all components. Subscribers can choose the specific components/containers that they want to receive notifications for. All new subscribers are sent a unique link to manage their subscription preferences, with the exception of SMS messages. Additionally a subscriber can request the management link by choosing Manage Subscription from the Subscribe box on the status page. You can also manually manage the subscribers for your status page by logging into the dashboard and selecting the Notifications tab. 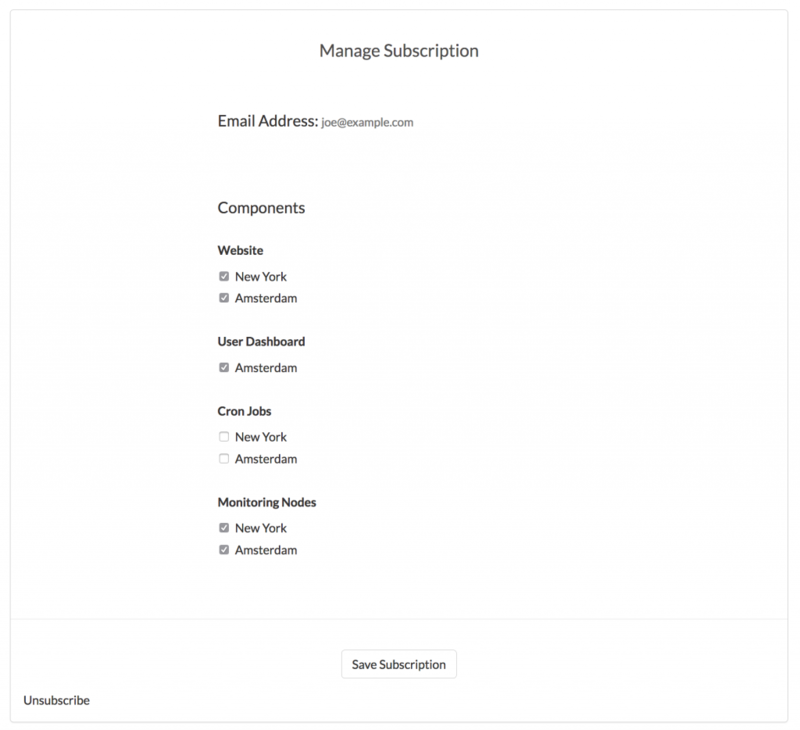 Click the Manage Subscriber button for a subscriber and then check/uncheck the appropriate components.